Pastor Les Herod and his wife Glenna have been members of The Church of God of Prophecy since 1973. Les was appointed as Pastor of the Eden Church of God of Prophecy in June 2011. He has been a licensed minister since 2001 and was the Interim Pastor at the Mayodan, NC Church of God of Prophecy, and Associate Pastor at the Greensboro (Bridge of Hope) Church of God of Prophecy where he served as Worship Leader, Teacher, and Executive Committee Member. In addition, he has been part of the staff of the NC Church of God of Prophecy State Offices, serving as a ministry director for Family Ministries, Men’s Ministries, and Stewardship Ministries; Committee Member; as well as a Resource Coordinator for all ministry departments; Staff Liasion; and Communications Director. His responsibilities included planning and organizing state-wide family events, pastor's conferences, serving on various state committees, and ministering to local churches as evangelist and teacher. Les also served on the board of directors of an international ministry organization involved in indigenous missionary support and development. Glenna and Les began working in Youth Camp in 1974. Glenna was a camp director for nine years and Les served in camp as Evangelist, Teacher, Dean, Cabin Leader, Night Watchman, kitchen staff, and Concession Stand Manager. They both have been selected to represent North Carolina at the International Youth Camp and also traveled to Thailand for a missionary trip. Glenna and Les have been special guest speakers at Marriage/Couple’s Retreats in NC, SC, TN, and Florida, as well as speaking at events in local churches, including several Divorce Proof Your Marriage study series. Glenna also has directed the NC State JOY (Just Older Youth) Conference and organized and directed vendor resource areas at State and Regional conferences. They volunteer at each International Assembly to help staff support areas, such as Men's Ministries, Family Ministries, Children's Ministries, and the Mission Clothes Closet. In his business career, Les began in the US Army as a Personnel Management Specialist on the Adjutant General's staff, and received the Army Commendation Medal, Expert Badges in rifle and grenade, and was selected as the soldier of the month for the 18th Airborne Corps. He also served as an Information Technology and consulting services executive for over 30 years. Glenna has been a customer service representative, medical insurance claims processor, and managed a home health care retail store. 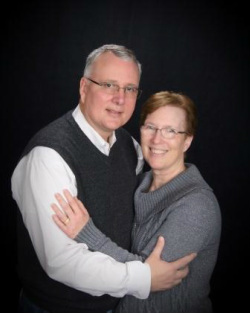 ​Les and Glenna have a heart for the lost and for helping build strong loving relationships. which build strong cities, which build strong nations.